Photocure is a Norwegian company which develops and sells pharmaceuticals and medical devices based on proprietary photodynamic technology, targeting key dermatology and oncology markets. The company identified the need for a new, large-area photodynamic treatment (PDT) lamp that could be used in combination with its proprietary pharmaceutical, Visonac™, for the treatment of moderate to severe facial acne. With time to market and cost of development as key issues, the company recognized that a highly focused development program would be required. The aim was to achieve a production-ready device for planned Phase III clinical trials starting across the USA and Europe. Photocure chose Sagentia as its development partner due to our track record in the medical device sector, our ability to offer a rapid concept to manufacture development program and the assurance that we could offer through our accreditation to ISO 13485, the medical device quality management standard. all mechanical, electronics, software and optical development work; validation and optimization of advanced design concepts with clinical stakeholders; the establishment of an extended production supply chain, notably in the Far East; approvals testing for EU and US regulatory requirements and finally transfer to production using Photocure’s existing European sub-contract manufacturer. 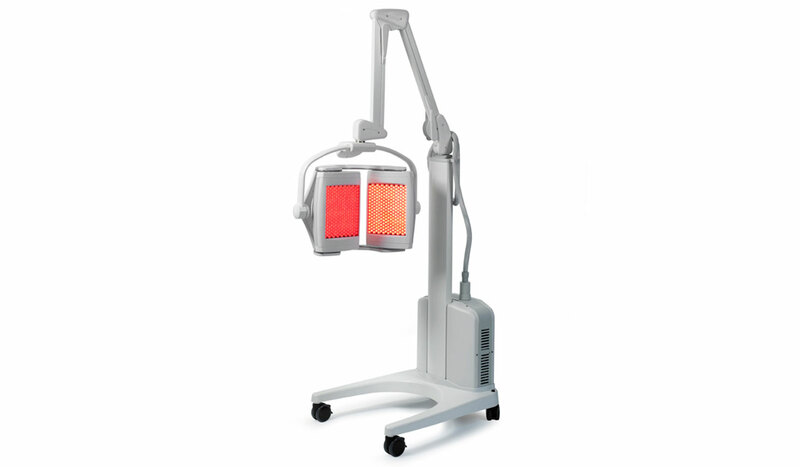 Photocure’s brief called for a large area PDT lamp that could provide uniform illumination of the whole face. To meet this need, we developed a 3D optical model to simulate illumination across the entire face and to investigate the performance of different product concepts. As a result, we were able to determine that full face illumination could be achieved using just two angled lamp panels rather than the three previously considered necessary. At key points during the development program, we solicited feedback from clinical/nursing professionals to ensure that user requirements were correctly identified and validated. This included one-to-one clinician interviews, focus groups, and usability workshops. The fully developed lamp – known as Aktilite® CL512 – comprises two light panels with 512 light emitting diodes that deliver a controlled dose of red light. The panels can be adjusted to treat either the face or flat areas such as the chest or back. A mobile trolley stand and articulating support arm are used to position the lamp over the treatment area.